Of all the ghosts to come a-haunting this season, by far the most important to us here at TW is the spirit of Leon Theremin. 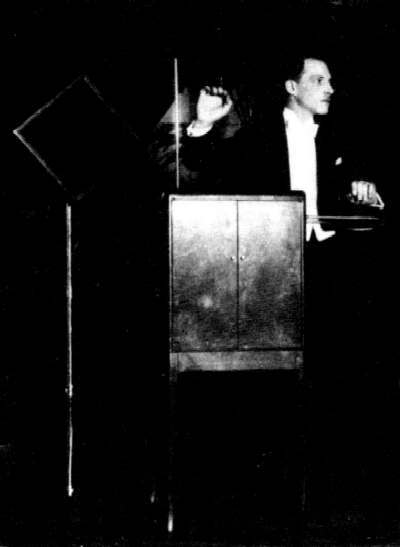 Lev Termem, also known as Leon Theremin, died in Russia on November 3rd, 1993. We'd have nothing to wave our hands at without his invention of the theremin. His passion and perseverance changed our world. Thinking of Lev's life back in Russia after he left New York, how he kept himself alive by keeping his mind focused during horrible tortures, reminds me how we can keep hope and overcome the frustrations, fears, and even pain or injustice to make our own positive contributions to the world. Let's play a theremin tune in his honor today if possible, and give our own creative spirits a boost to reach our goals, whatever they are. Is there a song you'll play or something special you're doing today? Chime in on the forum and let us know. Happy Lev Remembrance Day.